Check back often for our newest Meatless Monday recipe and the corresponding AAS Winner/s to grow in your garden. Try Meatless Monday recipes for a healthier you and a healthier environment! 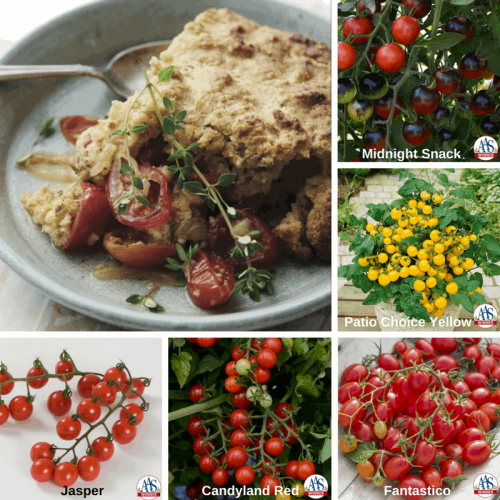 Grow AAS Winners for the perfect home-grown dish! Meatless Monday is a global movement with a simple message: once a week, cut the meat. Launched in 2003, Meatless Monday is a non-profit initiative of The Monday Campaigns, working in collaboration with the Center for a Livable Future (CLF) at the Johns Hopkins Bloomberg School of Public Health. Preparing Meatless Monday Recipes once a week may reduce your risk of chronic preventable conditions like cancer, cardiovascular disease, diabetes, and obesity. It also can help reduce our carbon footprint and save precious resources like fossil fuels and fresh water. Approximately 1,850 gallons of water are needed to produce a single pound of beef compared to 39 gallons of water to produce a pound of vegetables. The perfect dish when you have all those little delicious tomatoes and want to make something extra fun with them! These AAS Winners will bring a great taste to the dish and a winning plant to your garden! Give Jasper, Candyland Red, Fantastico, Patio Choice Yellow or Midnight Snack a try! Find where to purchase these and all AAS Winners here! 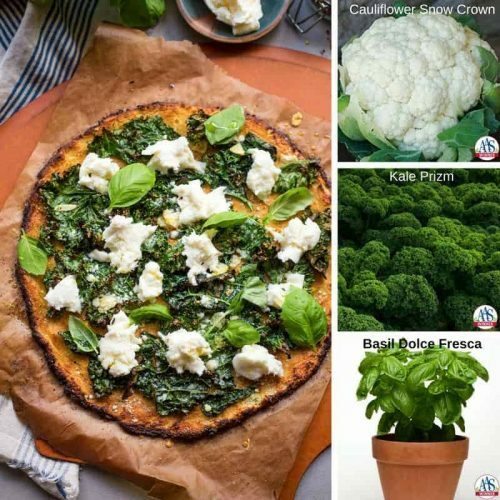 Try a Cauliflower crust with your garden fresh Kale, Basil and experiment with just about any other homegrown garden vegetable including tomatoes and peppers for a delicious Meatless Monday meal that just shouts Garden Freshness! 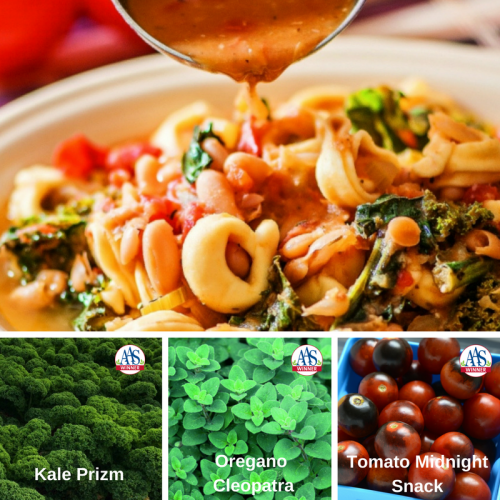 Plant AAS Winners Snow Crown Cauliflower, Prizm Kale, and Dolce Fresca Basil and get ready for something delicious! Purchase all your AAS Winners here and get ready for some scrumptious Meatless Monday! The perfect soup for any winter weather that is thrown at you…Creamy Vegan Butternut Squash Soup will be a perfect winter go-to for your Meatless Monday! 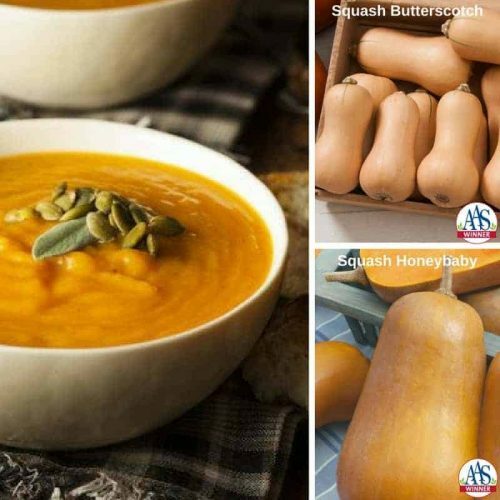 Plan your garden now to contain these new AAS Winners Squash Butterscotch and Squash Winter Honeybaby – both container friendly, both AAS guaranteed! An excellent Fall and Winter Meatless Meal starts with Brussels Sprouts! These 5 different ways to make Brussels Sprouts are a great start to your Monday Meal preparation! 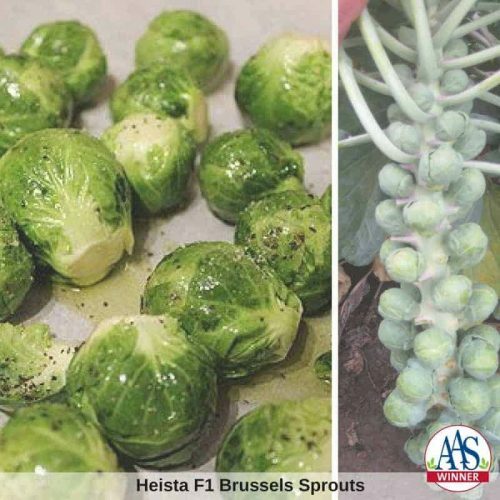 Grow your own Brussels Sprouts easily with 2015 AAS Winner Heista Brussels Sprouts. Hestia is only the second Brussels Sprouts ever to be granted an AAS Winner designation. This is an excellent flavored vegetable with a bright green exterior and smooth, dense yellow interior. Did you know that 2017 has been designated the Year of the Brassica by National Garden Bureau? So celebrate with Brussels Sprouts! You can find where to purchase the Heista seeds and plants here.